1. We are introducing Editorial Column from this Edition. Through this column, PreSense will share the views, which are of national interest. Susan Koshy, Editor writes on the importance of Media to become 'Çhange Catalysts', instead of sensationalising sensitive social issues. 2. 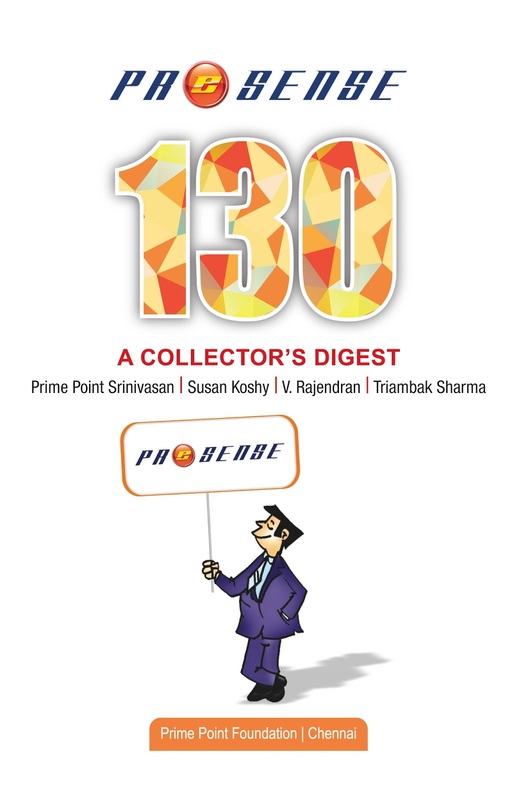 Cover Story : K Srinivasan traces the historical perspective of political campaigns from the traditional model to the emerging trends in techno communication strategies. 3. An exclusive interview with Techno campaign strategist S G Suryah on his experience with various political campaigns. 4. A Case Study on the Gujarat Elections 2012 - Extract from a book published then. 5. Ancient Indian Wisdom : Shri M S Shiva Kumar, a well known scholar and researcher on Vedic Astrology, in an exclusive interview speaks about the various aspects of Astrology and how the planets have an impact on the human beings. . Since many States will be facing Assembly Elections shortly, Editorial Team wanted to create awareness about the new age political campaigns that are emerging in India. We are confident our readers will find this informative. Please also share this ezine with your contacts. 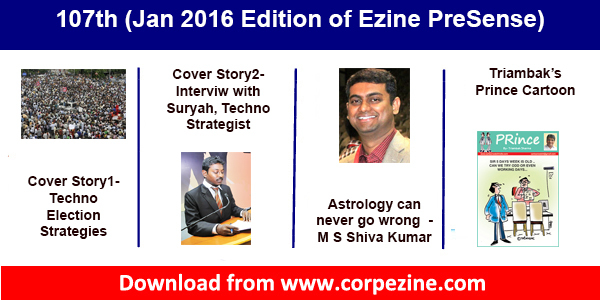 Kindly send us your feedback to editor@corpezine.com.